The Hedge Fund Group sponsors the Certified Hedge Fund Professional Designation Program and maintains a networking association of more than 125,000 hedge fund industry professionals who actively network, partner, and refer resources to each other. The Hedge Fund Group is the fastest-growing hedge fund organization with members from more than 70 countries and working in every major hedge fund city. Our organization manages several hedge fund seminar networking groups and members of our team often lecture at industry conferences in several hedge fund hub cities around the world. Hedge Fund Group Headquarters: The Hedge Fund Group was founded in Boston 2006 and our headquarters have since been moved to west coast to Orenco Station in Portland, Oregon with associates and board members in New York, London, Chicago, Sao Paulo, San Francisco, Bejing, and Dubai. If you would like to contact our team or if you have any questions please first review our detailed Frenquently Asked Questions page to see if your question is answered there and then please contact us through Click to Chat or email below, our office hours are Monday- Friday 9:00AM – 6:00PM (EST). We are looking forward to working with you within our program. David Becker is an expert in portfolio and risk management, and is well adept in his knowledge of financial derivatives. Mr. Becker has an 18 year track record of creating and initiating successful investment ideas. During his professional career, David has worked for 2 investment banks, which include Morgan Stanley and Smith Barney, trading equities, debt derivatives, commodities and foreign exchange. David also spent time working at 3 different hedge funds, where he managed portfolios and developed a successful track record. David has in depth knowledge of many trading strategies that lead to successful short and long term returns. Theodore O’Brien has been with our team since the beginning. He is well known for his reporting on the private equity and alternative investment industries. Theo is also responsible for advising on technical aspects including web design, exam technology, and hedge fund product planning. His background is in hedge fund market research, alternative investments and private equity, and he is a frequently published writer on these subjects. Aldo s Rabih is a Senior manager in New York working on reinsurance technical issues and derivative credit valuations. 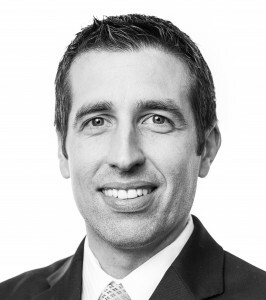 Aldo gained over ten years experience dedicated to serving financial services entities (mainly hedge funds and private equity entities) and over four years of diversified experience in other industries and capital markets, both at Metlife as well as from other big four public accounting firms. Aldo has also spent two years as an independent risk consultant with a focus on internal controls and due diligence for fund of funds as well as reviewing transparency standards for fund of hedge funds. Aldo began his career in Montreal Canada and maintains both his Canadian chartered Accountancy as well as CPA licensure. Aldo’s former and current clients included Hedge funds, Private Equity Firms, Clearing Brokers, Introducing Brokers, Mutual Funds, and, Registered Investment Advisors, Trust Company, or Transfer Agents, as well as Alternative investment vehicles. He received a BComm. degree in accounting (Concordia University – Montreal) and Graduate Diploma in Public Accounting (McGill University – Montreal) He is a Certified Public Accountant, Canadian Chartered Accountant and member of AICPA as well as the Massachusetts Society of CPAs. Charlie Barr is the Hedge Fund Group’s video editor. Charlie helps produce video study aides, video recordings of team member speeches at conferences, and Hedge Fund Premium resources. Charlie’s background is in conducting market research and investor database product construction projects within the Hedge Fund Group. As a member of the CHP Designation Program you will gain acceess to Hedge Fund Premium and watch many videos which Charlie helped produce and edit over the past few years. Adriana Albuquerque handles participant inquiries and research projects. She is responsible for ensuring that the CHP Designation materials and Hedge Fund Premium resources are updated frequently and that participant needs are promptly met. Adriana also helps coordinate Hedge Fund Group networking events and seminars for CHP members and hedge fund professionals across the industry in over 10 cities around the world including New York, Moscow, Chicago, Sao Paulo, Boston, London, and San Francisco. Rafael Tassini was added to our team to help us consistently produce new resources, alumni benefits, and downloadable multimedia from our website. Rafael is focused on resource research and construction and many of the tools you use within our programs were built with his help. If you have any questions about our team, products and services, or how to become a member of the Hedge Fund Group lease email us at [email protected] or our office hours are Monday- Friday 9:00AM – 6:00PM (EST) 305-503-9077.